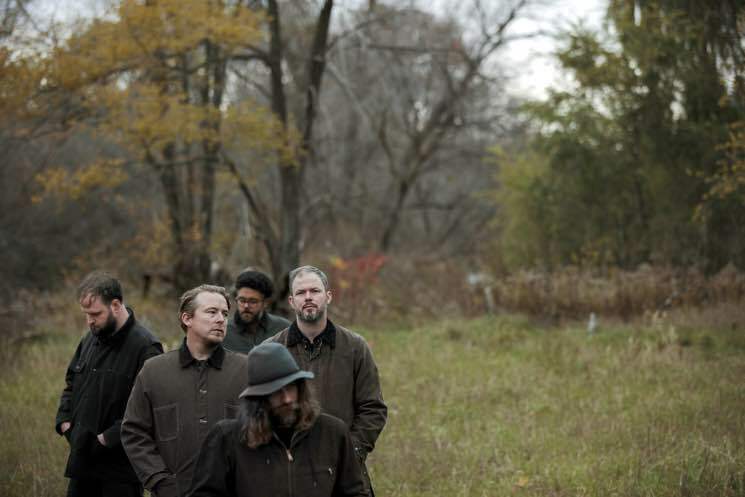 Halifax indie rockers Wintersleep have revealed plans for their next album. In the Land Of will arrive on March 29 via Dine Alone. It marks the band's seventh studio album overall and the follow-up to 2016's The Great Detachment. The new album hears the band exploring the concept of land — how we alter landscapes and how they alter us, how land changes, and how land can be familiar, foreign, living, dead or stolen. "A lot of the songs touch on this idea of being a stranger or feeling foreign in all the different landscapes in which the songs took place lyrically," frontman Paul Murphy said in a statement. The first song to arrive from In the Land Of is "Surrender." Listen to it below. Wintersleep have also mapped out 2019 tour dates in support of the upcoming LP, some with fellow east coasters Partner. See the upcoming shows listed below as well.